Are you ready for IEP Season? It used to be that IEPs were written in the fall and those goals were followed during the school year to be reviewed at the end of the year for necessary changes. Now, there is no IEP Season. IEP writing is a year-long sport. There is no off-season, no time to sit back and reflect, no time for thinking “maybe next season”. IEPs need to be front and center all the time. Without a playbook of your child’s goals and modifications, the players wouldn’t know their roles. I learned this the hard way. I let my guard down when Jillian was in the primary grades. I assumed that the teachers were doing everything in their power to make sure Jillian learned and reached her highest potential no matter what the IEP said. After all, I had a great rapport with the teachers, talked to them all the time, but I didn’t pay enough attention to the IEP- the written obligation. Without an accurate IEP, the teachers didn’t have anything to hold them accountable for their efforts at making Jillian successful in her academic career. I failed to notice that one year, the teacher had just copied the previous IEP without new test scores and new goals. The reason I found out was the teacher was in such a hurry to copy last year’s IEP that she forgot to change the year on the document. If the date doesn’t match the year of the IEP, it could be a copy job. I learned my lesson the hard way. After that, I understood the importance of an accurate IEP. Make sure you have reviewed it thoroughly before you sign it. Be sure you understand and agree with everything in the IEP. One year, the IEP team tried to take out my parent’s vision statement which included college for Jillian. They didn’t think college was a possibility (even laughed when I suggested it) and took it out of the vision statement. Fortunately, I was already a major league player in the IEP games and I noticed it right away. My vision statement was re-entered into the IEP. So, review your IEP with a fine tooth comb before you sign it. Then comes game day – the actual IEP meeting. If feels so much like a sporting match that I think everyone should be wearing their team colors. Parents vs Schools. Hopefully, your meetings go very smoothly. But if you are asking for something that the school doesn’t want to pay for, you may have a battle on your hands. Have a game plan ready. 1.Know your rights. Know what you are entitled to. Have testing scores that back up your request for services. 2. Stay calm. Knowing that you have right on your side can make you calmer and clearer on the points of your argument. 3. Take an advocate. If you feel that you need an expert to explain your position, take an advocate to the meeting with you. That is your right by law to have whomever you choose to accompany you at the meeting. 4. Don’t sign if you aren’t satisfied. If you are overwhelmed or not satisfied with the results of the meeting, schedule a second meeting. Never sign until you are sure. Remember that there is no IEP Season. You can revisit your IEP Team anytime you feel the need. You don’t have to wait for the next year to make changes or updates. If you feel changes are needed, ask for a meeting now! I like to think that we are all on the same team. All there for the same goal of educating our children. However, even the best teachers are sometimes confronted with a school district that doesn’t want to spend the money for your child. Know your rights, make yourself heard, and hold no grudges. Deep down, people are genuinely kind and all wanting the best for your child. Just hang in there! I was asked this week to speak to a local book club, whose members had read An Uncomplicated Life and wanted to pick my brain. I rarely pass on an opportunity for a free beer, and never on a chance to talk about Jillian and the unique joy of our special needs kids. 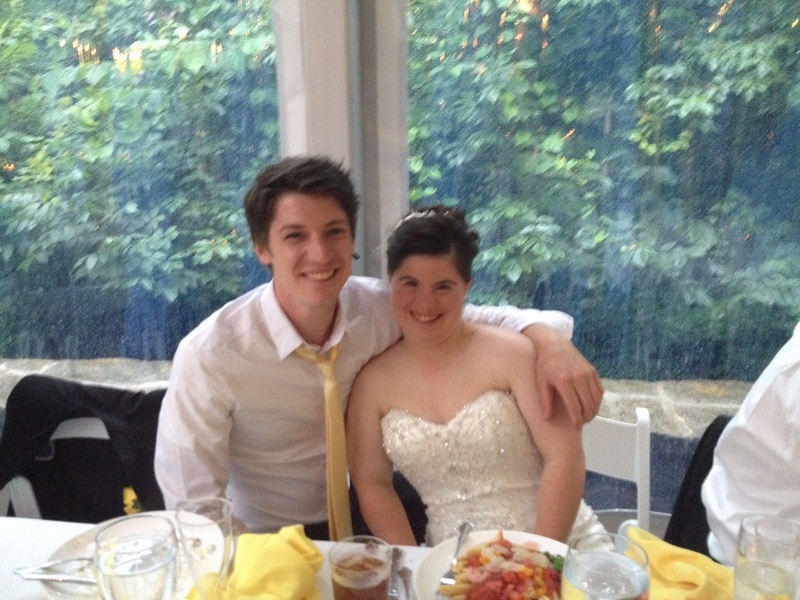 A few months into married life, Jillian is back working five days a week in the athletic department at Northern Kentucky University, and next week will attend her cousin’s wedding. In between, she and Ryan clean their apartment, plan and fix meals, pay their bills, go to work and have Date Night on weekends. A lot like the rest of us, in other words. The whole reason for agitating the school system and rattling society’s cages is to allow our kids to define themselves. Same as any other kid. Everything Kerry and I ever did on Jillian’s behalf was with that intent in mind. We don’t put limits on our “typical” children. Why would we do that our special-needs children? Raising any child is hard work. Raising a child with a disability is just a different kind of hard work. We never asked Why? We wondered Why Not? We might have worried that Jillian wouldn’t have a social life. We never worried about where she was at 2 AM on a Saturday morning. Even when she did have a social life. We fretted over her academics. We didn’t fret that she wouldn’t devote all available effort to the task. She never underachieved. My mother once observed that Jillian would come the closest of all her grandchildren to reaching her fullest potential. Isn’t that all we ask of anyone? So, no we never shielded Jillian. We never used her Down syndrome as a crutch, or an excuse. We expected society to see her as an equal. Because of that, we expected Jillian to live up to society’s demands. It was a lot of pressure to put on a child. Jillian bore the weight beautifully. So can everyone else’s children. I’m gratified and humbled by the book’s success, and by the kind words readers have offered on its behalf. I’m struck by those who have read it, who don”t have children with special needs. It suggests that people are understanding what Kerry and I have come to know: Raising kids is hard, no matter the situation. Raising a kid with a special need is just a different kind of hard. A great love story and lesson in perspective. Jillian is a great teacher and all who take the time to read this book will be the wiser — Mrs. Nelson, via Amazon. I finished An Uncomplicated Life in two days. I couldn’t put it down. 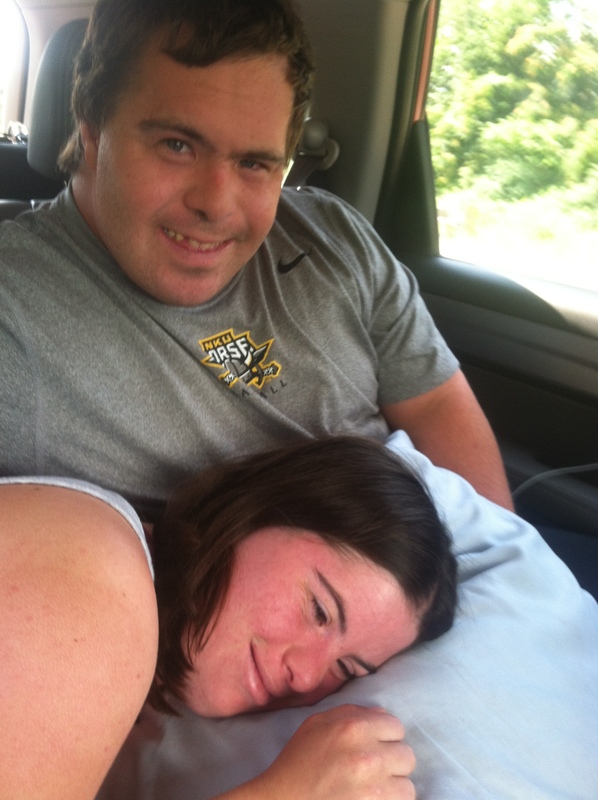 Jillian’s journey parallels my son’s journey in so many ways I was able to relate to. And Paul Daugherty’s writing is engaging and flows so beautifully. I love the way Paul and his wife Kerry gave Jillian the freedom to make mistakes and learn from them. 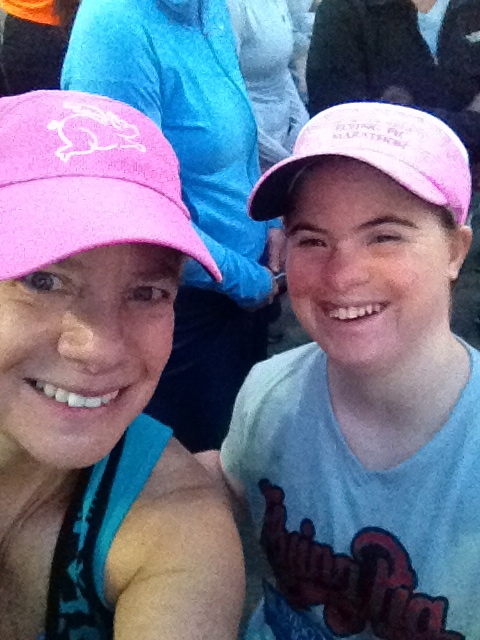 Many parents protect their children/adults with Down syndrome to their detriment. I love that you didn’t accept the “special” college programs! And allowing Jillian to be fully included in life with her relationship evolving to intimacy, and living together. I only wish the book had waited until the wedding! — Sandra McKelwee, via Amazon. 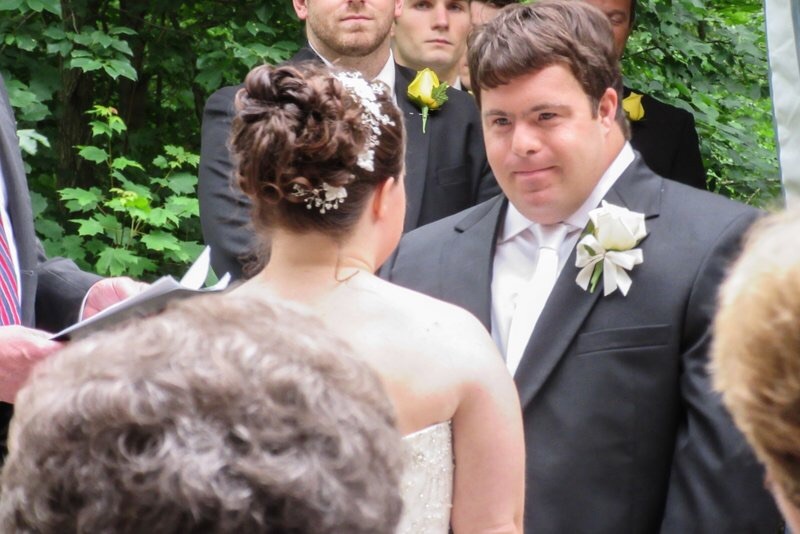 I have been amazed and humbled by the response to the letter I wrote to Jillian upon her wedding. Correspondence from all over the globe: Australia, France, Germany, Greece, the UK, Switzerland, Greece. An e-mail from the Discovery Channel, suggesting a documentary. Appearances on multiple websites: People.com, Today.com, ABC News, Yahoo, Fox News, Good Housekeeping,Cosmopolitan and others. The letter went viral. Which makes me happy, obviously. It’s a wonderfully human story. We can always use those. And, honestly, it doesn’t hurt book sales. Amazon has had trouble keeping An Uncomplicated Life in stock. 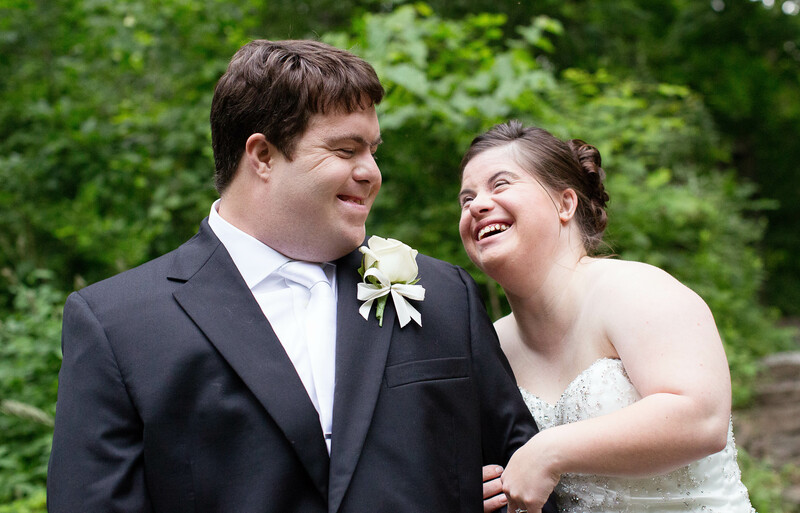 But here’s what would make me happier: If a Down syndrome wedding were not international news. Jillian and Ryan prepared a decade for their marriage. Kerry and i, Ellen and Dimitri did, too. There is extra effort involved, and all parties have to be rowing the same boat in the same direction. But the fundamentals were there for our kids, same as for any typical couple: Love, trust, empathy, friendship. Those qualities aren’t the sole province of typical people. I would argue that Jillian and Ryan were in some ways better equipped to handle marriage than some of the rest of us. Innate kindness and generosity of spirit never hurt a marriage, yeah? They are doing very well. Because they’ve known each other so long, marriage was just the next step, and required very little adjusting. Jillian’s only complaint is that she can’t get married all over again. I hope Jillian and Ryan uplift and inspire. I hope more that soon enough, stories of unions like theirs become the norm. See people. Don’t Look at them.